It is a portable mobile device that allows you to connect to the Internet on your Smartphone, tablets and computers. No more hassle like switching the SIM card on your phone, or connecting the lap top to the Internet with a wired LAN! It cannot get any easier to connect to the Internet! Please let us know which plan you would like to book by including the "Tour Code" when you make a reservation. Please let us know which Wifi plan you would like to join by including the "Tour Code" when you make a reservation. ●　Hassle-free and user-friendly set-ups! ●　You can connect up to 5-10 devices at the same time with one WiFi Router! ⇒ Hotels in Japan usually offers free Wifi in the lobby (and usually ridiculously slow!) and charges extra fee for your room. ⇒ You may not find a WIFI hotspot when you need, or your personal information may be required for the free Internet access! ●　People who'd like to contact their friends/family. ⇒ If you have a router with you, you can contact them through social networking services anytime and anywhere! ●　You have rented a car, but it doesn’t come with a navigation system. *We only have a limited quantity in stock, therefore, there is a possibility that we cannot fulfill your rental request. *We do not accept any reservations made by underage users (must be over 19 to apply). *Each individual renter may request to rent up to 2 devices in one reservation. In the case of cancellation, there will be NO full refund if you cancel five days prior to the date of your booking. Our routers are specifically and only for usage in Japan and in the U.S.A. They are not suitable for usage in Canada, Hawaii and other places. Please come to H.I.S. Vancouver Branch or Toronto Branch during its operating hours to pick up the Wifi Router. In the case where you cannot come to pick up your device for some reason, we will not offer a refund. In case of any loss or damage to the device during the rental period, we will need to see your credit card (VISA, MASTER, JCB, AMEX, DINERS). You may have access to the Internet within the service area in Japan and the U.S.A. (except Hawaii), but it is possible that you may not be able to access the Internet for some reason. Please return the device back to H.I.S. office where you picked up the device. In the case where you return the device later than the expected return date, there will be a late charge of CAD $10 per day. The late charge may be paid by credit cards or cash. In the case where you continue to use our service 7 days after the expected return date without notifying us, we will instantly terminate the contract without any notice. 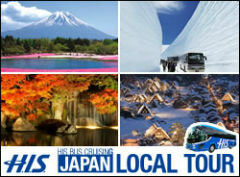 You must contact us if you will delay your stay in Japan. Please pick up the Wifi router at designated airports in Japan or designated tourist information centers. For pick-ups or returns, please visit designated airport or tourist information center during its operation hours. We accept bookings with rental period of at least 3 days or more. In the case of cancellation, there will be a 50% refund if you cancel 4 days prior to the date of your booking, but no refund on the day of rental. If you fail to return the device by the expected return date, there will be a late charge of 650YEN (per day) starting from the next day of the expected return date. 20, 000YEN will be charged in the case of any damage to or loss of the device if you did not purchase the insurance. Please return Wifi router and all other accessories (e.g. charger, manual, etc.). In the case of late returns or not being able to return the device, please contact the designated return locations. We will deliver the Wifi Router to your hotel in Japan. We do not deliver to private homes or Airbnb. We accept bookings with rental period of at least 6 days or more. When you make a reservation with us, please ensure you use the exact same name as your hotel bookings. There is a possibility that the hotel will not accept the package if the names do not match. Please include the date of check-in when you make a reservation with us. If you fail to return the device by the expected return date, there will be a late charge of 700YEN (per day) starting from the next day of the expected return date. 28, 000YEN will be charged in the case of any damage to or loss of the device if you did not purchase the insurance. 1 000YEN will be charged in the case of any damage to or loss of each individual accessory if you did not purchase the insurance. In the case of cancellation, 50% of rental fee and postage are non-refundable if you cancel 6 days prior to the date of your booking, but no refund on the day of rental. Please pick up the SIM card at designated airports in Japan. If you need Micro size SIM card, we'll lend you a Nano size SIM card with an adapter (no additional charge for an adapter). Please inform the counter staff if you need an adapter. The 8 day validity period will begin once the card is activated. In the case of cancellation, 50% non-refundable if you cancel 6 days prior to the date of your booking, but no refund on the day of pick up. 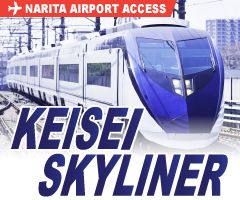 Delivery of your ordered SIM is available to the Post Offices in Narita Airport Terminal 1 and 2 during business hours. Please present your passport at the Post Office counter to pick up the parcel. When you make a reservation with us, please ensure you use the exact same name as your passport. Reservation must be made at least 7 business days(Japan Time) prior to the pick-up date. Please include the date of arrival and flight information when you make a reservation with us. 100% charge shall be claimed up to 24 days before the date of delivery. We accept bookings with rental period of at least 5 days or more. Deposit of CAD $200.00 will apply automatically to each E-WIFI product you rent out.